Secondhand tobacco smoke in experimental and real-life conditions: comparison of methods of measurement. This WP has the scope to perform researches on the best method and procedures for real time measurement of environmental pollution generated by tobacco smoke and by electronic cigarettes by means of optical particle counter (OPC). Since most of the measurements will be made in outdoor settings, the Relative Humidity interference on the OPCs indication may introduce significant errors. Therefore, in order to allow measurements in any weather conditions, this WP will also provide information and suggestions on the best Relative Humidity interference compensation method. Also further research will be performed with the scope to verify the possibility, and/or the limits, of the e-cigarettes PM emissions measurements using OPCs. In addition to the WP report, all instruments will be delivered with a “Calibration Report” and a scientific paper detailing the methods and results obtained. 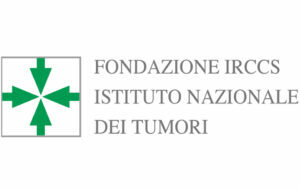 WP7 is managed by Fondazione IRCCS Istituto Nazionale dei Tumori (INT).